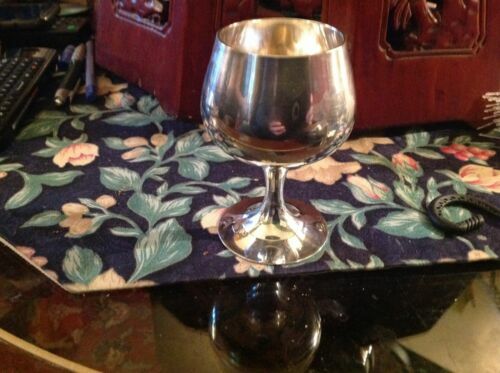 $80.0 (1 bid) Two Antique ALVIN Sterling Silver S249 Goblets 6 5/8"
$165.0 PAIR ANTIQUE LARGE SILVER PLATED GOBLETS FROM 19 CENTURY, ENGLISH MARKED. 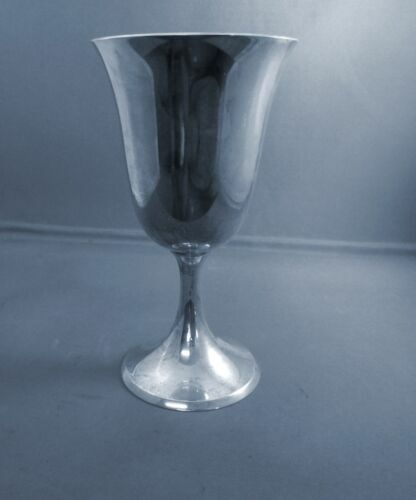 Buy: $299.0 Sterling Silver Wine Tasting Cup Tastevin 1633 Spanish 8 Reales Coin (1575). 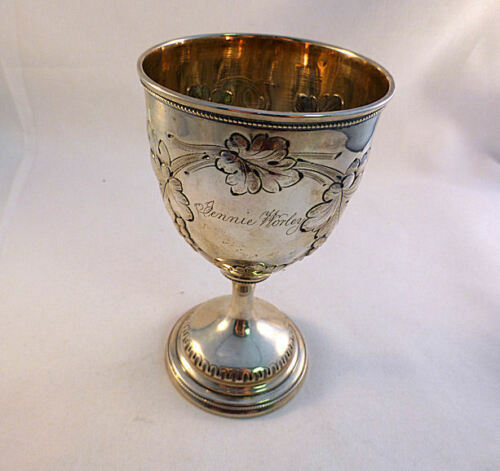 $199.99 Antique Quadruple Silver Plate Vase Floral #2050 Goblet James W Tufts Boston EX! 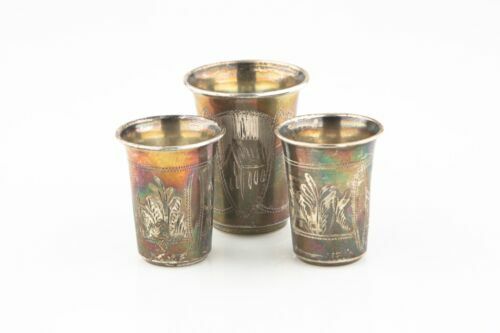 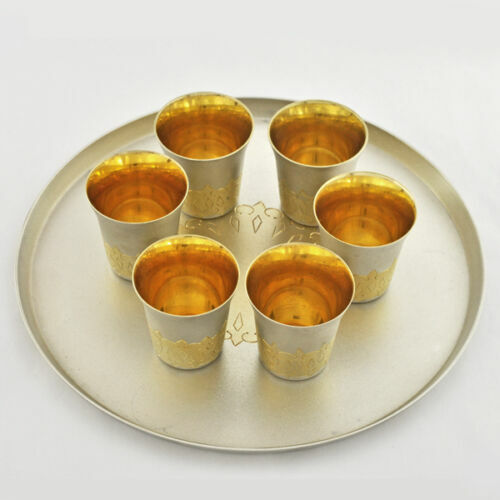 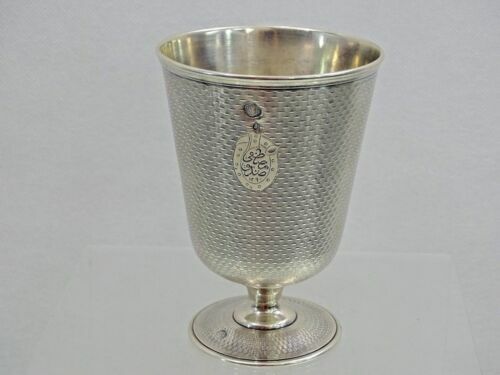 $279.0 6 antique Russian Silver .875 Cordial Shot Goblets pre 1908 ! 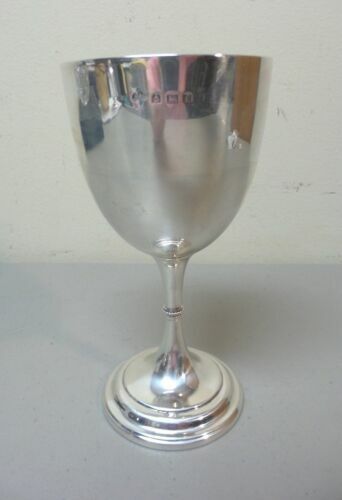 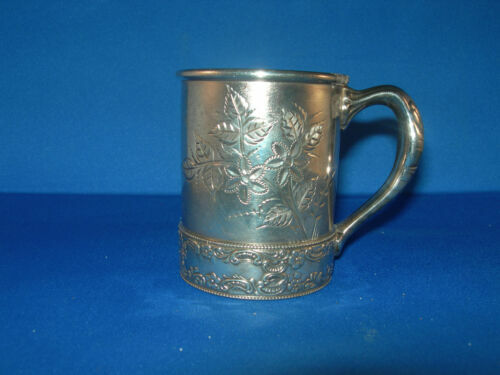 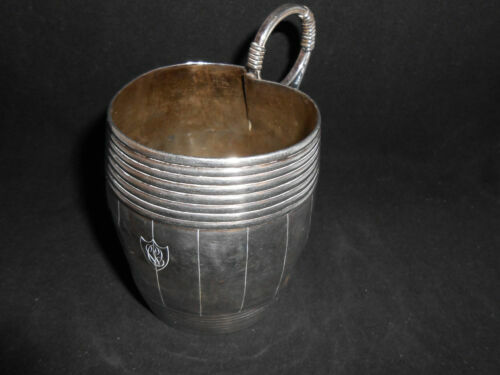 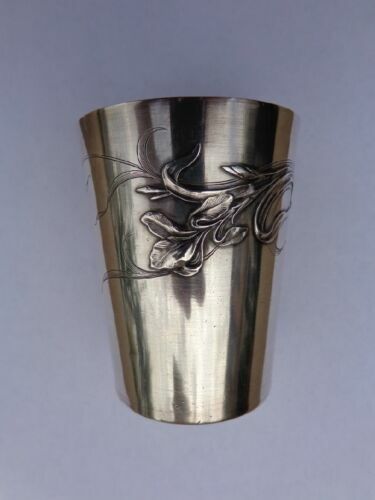 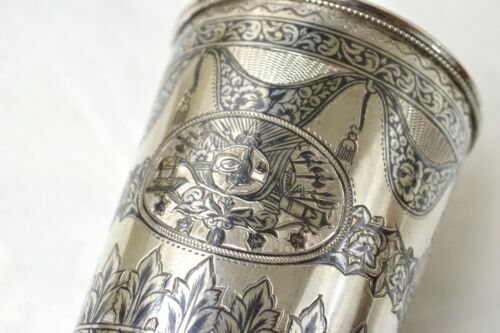 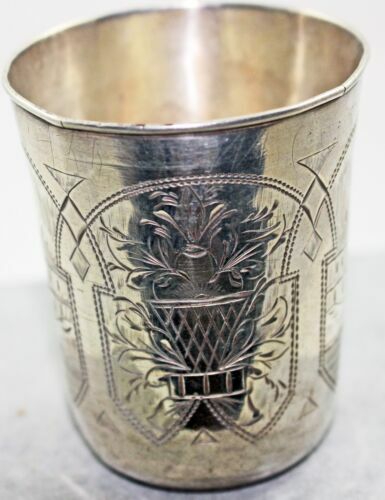 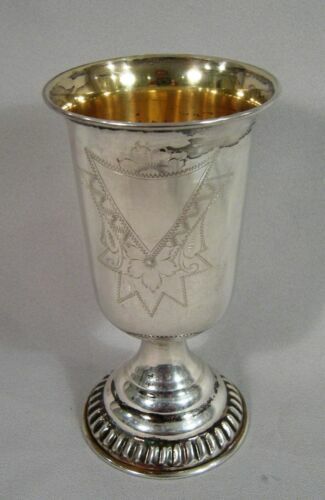 $166.25 Antique Imperial Russian 84 Silver Engraved Kiddush Footed Cup Goblet 5 3/8"
$400.0 Extremely Rare Lovely French Art Nouveau Solid Silver Iris Flower Goblet Cup !! 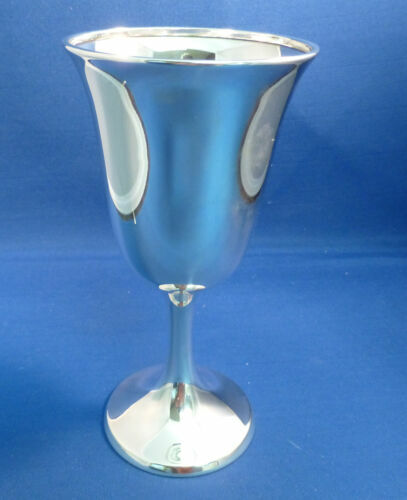 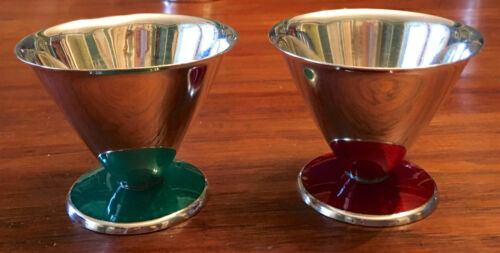 $199.99 WALLACE 14 STERLING WATER GOBLET(S) 6 5/8"
$64.98 "Wilcox Silverplate Co." QUADRUPLE Plate Silver Childs Cup W/Handle #3987 OLD!